By now, you have received your pledge cards for this year’s Starfish Fund. Many of you have already made a generous donation in support of the school. The Starfish Fund is essential to Beaches Episcopal School’s continued fiscal health. Every year, the school must raise approximately five percent of its annual operating budget from this fundraiser, which represents the second largest source of unrestricted operating funds after tuition. Starfish Fund dollars sustain the excellence of a BES education; its programs, teacher salaries, professional development, enrichment classes, and our facilities. A successful Starfish Fund delivers a powerful message that the school community supports its commitment to an outstanding BES experience. Strong annual fund participation demonstrates this strength of purpose to potential applicants and their families, supporters of the school, employees, and members of the community. This year, the faculty, staff, and Board of Trustees have already reached 100% participation. Please follow their example and match their enthusiasm by making a gift today! Any class reaching 100% participation may have a free dress down day on a mutually acceptable date between the class and teacher. I look forward to sharing that news with you. BES has already received donations totaling over $47,000 toward our $65,000 goal for the annual Starfish Fund. 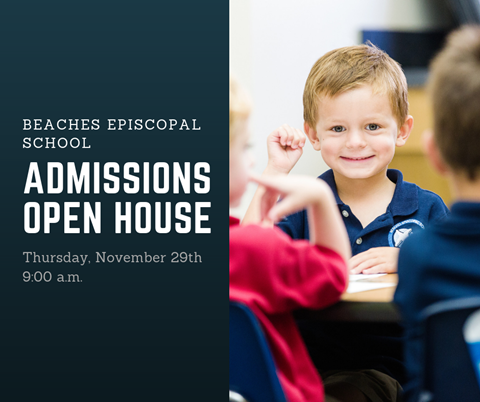 Beaches Episcopal School faculty, staff, and Board of Trustees have already reached 100% participation, and now we’re challenging our parents to follow their example and match their enthusiasm. We have introduced a new incentive that offers a DRESS DOWN DAY to all classes that reach 100% parent participation! Learn more about this challenge and see how your student’s class is doing below by clicking on a Dress Down Day flyer here. New Offerings for After-school Activities Added for Session #2, Register Your Students Today! We are excited to shared that three additional after-school activities (Fencing, Act It Out, and Running Club) have been added to Session #2 since our first e-blast last week. Also, the Book Club offering from Mrs. Bruer is called "Fly Guy," not "Fancy Nancy." We hope your students are planning on joining us for these After-school Activities set to begin on the week of Monday, November 26th. Cheerleaders to Visit Nursing Home in Jacksonville Beach Today! Our BES cheerleaders will be visiting residents and sharing their talents at the Avanté Nursing Home in Jacksonville Beach today at 4:15 p.m. These girls love to make a difference in the lives of those in our community, and this outreach accomplishes that purpose. 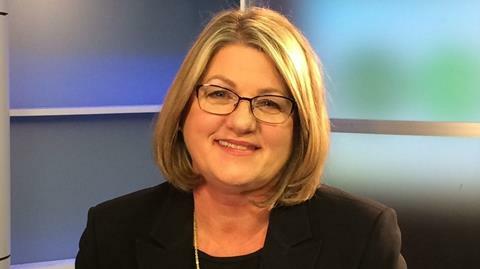 We thank BES parent, Mindy Starkey, for her leadership of the team this year. Way to go, Rays! See the Incredible Edibles flyer here! November/December Birthday Book Chapel at 8:10 a.m.